→The Most Important Lesson I Learned In My SEO Career Thus Far. The Most Important Lesson I Learned In My SEO Career Thus Far. Good Keyword Research Is STEP 1! I remember the day I bought my first SEO Guide, Google Sniper by George Brown. I remember being so freakin excited about how I was gonna find a ‘low hanging fruit’ keyword and build a blog about it. Low competition, and decent search volume – 1000 to 3000 searches per month! I was gonna make $500/month per website, and then I was gonna build 10 of them and make $5000/month and quit my day job and live the loco life! Oh man, if it were that easy right? Here’s a small sample of some of the domain names my girlfriend and I found keywords for and built blogs! Some of them still have a page up, so go ahead and peek at what we did. RiftTalent.com – I have no idea about the game Rift. HowToKissABoy.org – Teenagers don’t spend money on learning how to kiss. HowToGetRidOfBackAcneForever.com – To Competitive of a market, never ranked. With each new failure, a resentment and aggravation built up in me. But I kept going on, and we’d hit a bit of success! With our first taste of getting success in the form of traffic, about 60 hits per day, we got super excited and we wanted to rank #1, instead of #6. So we did what we were told and joined a back-linking network called SEO Link Monster, and blasted the hell out of those sites with backlinks. The result. We dropped out of the rankings completely. So effectively, what we did was pay $147/month for a few months to completely wipe out any small amount of success that we had. I quit. I seriously walked away from SEO and went back to bar-tending as my source of income. But whatever seed Mr George Brown planted in me, he planted it deep and he planted it well because I couldn’t really get the idea of SEO out of my mind. During the next 8 months, I never actively did anything to build a blog or do keyword research. But I did visit the Bring The Fresh forum quite a bit, and read the Success Stories section. I was gob-smacked by all the relative NOOBS that were cracking the code and getting results! I felt partly envious, and partly dumbfounded. But I kept reading and re-reading. Then one day, I stumbled across another fellow by the name of Alex Becker, and that’s when things completely changed for me. 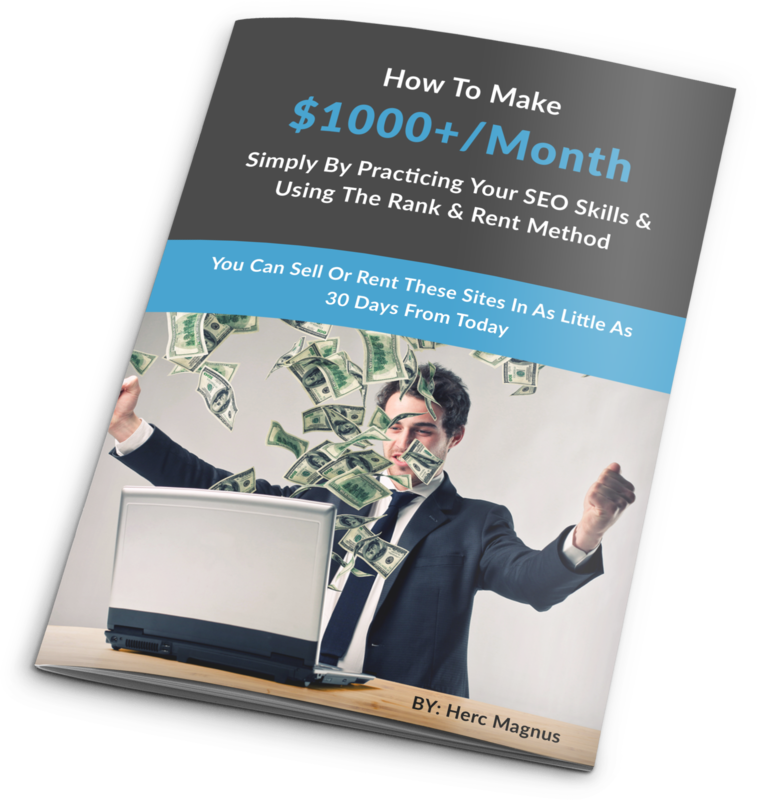 I got his ebook called The 80% Law Of SEO. It’s an excellent product, but poorly named product in my opinion. The 80% Law states that 80% of your results come from 20% of your proper efforts. It’s a very popular economic study in which the famous 80/20 rule came from. And it’s abundantly correct in many real life situations. In relation to keyword research, Becker states that you’ll get 80% of your results from 20% of the keywords you choose. So the remainder of the course materials is 6-8 methods (I can’t remember exactly) that will help you find those keywords that produce 80% of the results. The winners! He has a name for each keyword finding method, which is a nice way to help you remember. Some of them are; Top Ten Method, Blood In the Water Method, Foreign Language Sniping, Big Splash method, and I believe a few others. His tactics are quite logical, and kinda made me think DUH! Why didn’t I think of that. But the fact is they work. They work so well in fact that within a week of going over The 80% Law Of SEO, I had found my first truly successful keyword and built a site that was ranked on Page 1 of Google in 8 days, and hit #1 about 2 weeks later. Traffic levels are currently between 250-300 unique hits per day! Within the next 30 days, I built 5 more sites of which 3 hit Page 1 in Google. One of them even hit #4 in 48 hours, and is now currently ranked #1 getting over 100 hits per day. 1 sits at position 11, and the other I over optimized in my excitement of it all and it was thrown into the mythical Google Sandbox. I failed and failed and failed. About 20 domains I built, spent money on and none of them worked and I eventually quit, but when I came back, and found the missing link magic happened. I had 2 sites ranked #1 in Google and a whole whack more on Page 1. So what was the difference? Keywords man!!! Getting the right keyword is the very first step you have to take when you are trying to rank a brand new domain name! If you don’t pick the right keyword right away (due to inexperience), you probably won’t know it right away and you will end up wasting more time and money trying to build something that’s just a bit out of your reach or current level of expertise. I’m not trying to say ranking tough keywords is impossible, it is possible. But I am saying that someone who has little to no knowledge and experience in these matters should NOT be trying to rank for keywords that are even remotely difficult. It’s just to depressing and will lead to bad things. Try to be smart and learn from the failures of others, as my mother always wished I’d do. Picking the right keyword is like starting a 1000 mile journey, and actually heading off in the right direction from the start. What a sigh of relief! If I were in a contest where I had 10 minutes to pick a keyword to build a blog on, and the winner was determined by who received the largest volume of traffic from the search engines, I’d spend 9 minutes finding the right keyword, and 1 minute building the blog. So if you haven’t seen traffic from your website building efforts yet, then I highly suggest that you change whatever it is that you are doing, and place all of your efforts into learning about keyword research! The 80% Law Of SEO is a great guide to show you how to switch on your brain and find all sorts of keywords. It’s also very cheap! It’s like 15 bucks! Once you understand the keyword research methods, get yourself a membership for SE Cockpit, which is the best keyword research software there is. You’ll take your new found knowledge and minimize your search time into flat seconds. I can literally find 100 great keywords in a matter of 10 minutes or less now thanks to the knowledge of that guide, and the mining power of that tool! PS. I’d LOVE to hear your thoughts and comments, so please leave your comments below and check back once in awhile, cause I do respond!